Need more privacy in your yard? 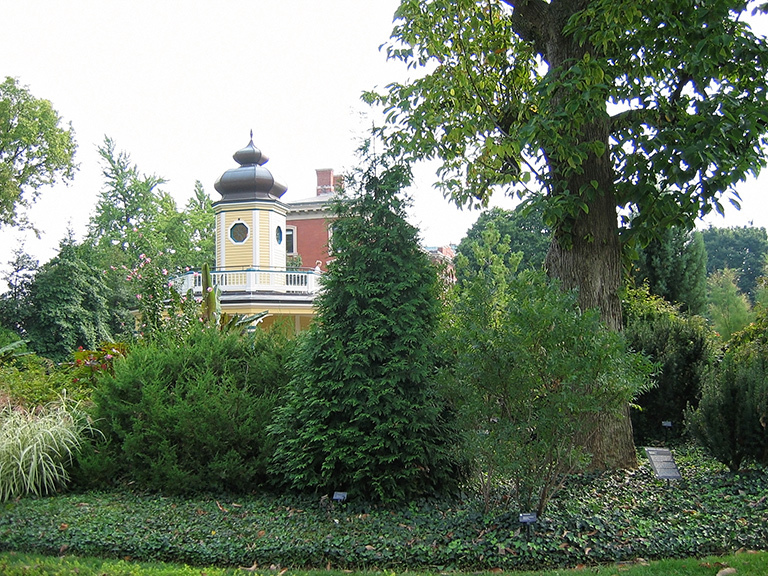 A fast-growing tree can create a living, green screen. Forget Jack and his ethereal, spiraling beanstalk. If you want to see some authentic, fancy, fast-growing plant magic, local garden experts want you to checkout “Green Giant” arborvitae. It is rapidly becoming the “go-to” plant for garden designers and homeowners who want to create an all year, living, green privacy screen. The Missouri Botanical Garden focused on “Green Giant” as one of its early selections in its Plant of Merit program, instituted to highlight under-used varieties that thrive in our tricky climate, notes Abby Elliott, a manager at Sugar Creek Gardens in Kirkwood. 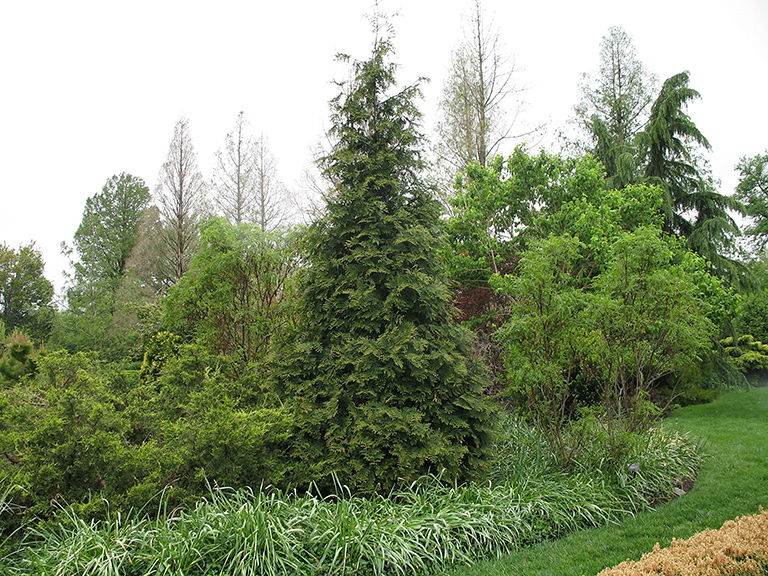 The relatively narrow, pyramid-shaped evergreen can reliably add one to two feet of height a year, local garden experts note. If left alone in ideal circumstances, it can reach heights of 20 to 40 feet with a base measuring 12 to 18 feet. Best of all, it is not fussy as to type of soil and grows well in both sun and part shade. The soft, feathery, fan-like foliage stays a reliable, rich dark green all year long. Other screening shrubs/trees with deer resistance that adapt to a variety of conditions that Chris favors include conical “Spartan” juniper, which grows 15- to 20-feet tall but only about 5-feet wide, and the larger Norway spruce, which can get as high as 40 to 60 feet with a spread of 25 to 30 feet. At Sugar Creek, Abby suggests feathery, narrow “Fineline” buckthorn, which can get 5-to 7-feet tall with a spread of 2 to 3 feet. While “Fineline” buckthorn is deciduous, its dense, multi-twigged habit provides a woody screen and winter interest during cold months. She also suggests evergreen leatherleaf viburnum, which grows 6-to-10-feet tall and wide, for its ability to handle abuse and shady conditions. In addition, the shrub provides clusters of white blossoms in spring and red berries in late summer that turn to black in fall.